Perlan Project aims to soar to 90,000 feet in a glider, a sightseeing crash in Alaska, United buys into Azul Brazilian Airlines, China building airport infrastructure, news media companies start drone testing, OneGo to offer flights for a fixed monthly fee, and Solar Impulse leaves Japan. Einar Enevoldson is a lifelong glider pilot and a former NASA test pilot. In 1992, Einar first envisioned the Perlan Project when a LIDAR image was shown of a stratospheric mountain wave at 75,000 feet above Northern Scandinavia. Einar believed that these mountain waves could be used to fly a sailplane to great heights. The Perlan Project is a 501(c)(3) not-for-profit aeronautical exploration and atmospheric science research organization that utilizes sailplanes (gliders) designed to fly at extremely high altitudes. Einar and Steve Fossett proved their concept when they set a world altitude record for gliders of 50,671 feet on August 30, 2006. They flew the Perlan I, a modified DG505M, in stratospheric mountain waves generated by the Polar Vortex over el Calafate, Argentina. In July 2014, Airbus Group became the partner and title sponsor of Airbus Perlan Mission II. Sometime in 2015/16 the Airbus Perlan Mission II intends to set new altitude records by flying a purpose-built pressurized high-altitude glider higher than any other manned wing borne aircraft has ever flown in sustained flight using stratospheric mountain waves and the polar vortex. Perlan Project intends to use the Airbus Perlan Mission II to expand their educational programmes by creating more partnerships and forming an international education committee. Einar’s military service includes test pilot on the Hunter, Lightning, and Javelin British fighter aircraft from 1966 to 1967. Following that, Einar was a NASA research pilot at the Dryden Flight Research Center at Edwards, California. Among the many planes he flew for NASA were the YF-12A (Interceptor version of the SR-71), the oblique wing AD-1, the Controlled Deep Stall Sailplane, and the X-24B Lifting Body. He was twice awarded the NASA Exceptional Service Medal. Eight passengers and the pilot died when their “flightseeing” DeHavilland DHC-3T Turbine Otter crashed into a rock face about 20 from Ketchikan, Alaska. The floatplane was providing a tour for passengers from Holland America Line’s MS Westerdam cruise ship. The wreckage is on a 60 degree slope at the base of a mountainside cliff. Azul Brazilian Airlines is the third largest airline in Brazil, and was founded in 2008 by Brazilian-born David Neeleman, who also founded JetBlue Airways. Neeleman is Azul’s chief executive. United would gain access to Brazilian cities. Azul gets investment money where they have been unable to offer an initial public offering due to Brazil’s poor economy. More than 60 inland airports in China are expanding, and another 30 new regional airports are being built. The Civil Aviation Administration of China (CAAC), says more than $80 billion will be invested in aviation projects this year alone. Driving this are business travel and outbound tourism. Fifteen news media companies launched research testing of sUAS for news gathering in partnership with Virginia Tech, one of the six FAA UAS test sites. Flight tests will include a series of scenarios to simulate news gathering with small UAVs. Startup OneGo wants to offer this service to small and medium businesses where team members have to do a lot of travel. In exchange for the fixed monthly fee, travelers will get unlimited economy class direct flights on major airlines like American, Delta, United and Virgin America, as well as Gogo WiFi membership, and enrollment in TSA Pre for faster security screenings. Solar Impulse 2 finally launched from Nagoya, Japan, en route to Hawaii. The flight is expected to take five days. 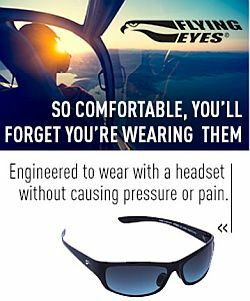 Flight Threats – An iOS app designed as a situational awareness improvement tool for pilots. Flight Accidents – An iOS accidents search app. 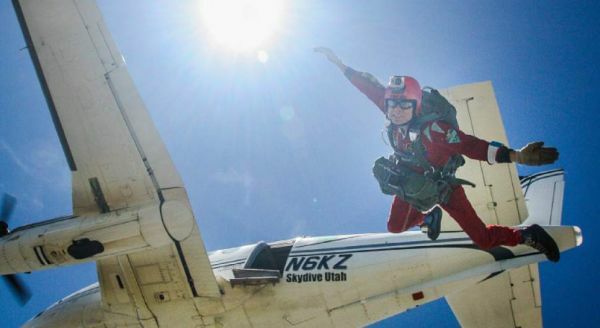 Courtesy of Skydive Utah: NASA Ambassador Patrick Wiggins, 66, is no stranger to the sky with about 760 jumps under his belt as he logs another while stepping out of a Skydive Utah plane near Tooele. On Friday the education assistant at the University of Utah donned his original 1965 “antique parachute” and gear to mark the 50th anniversary of his first jump while joining friends at Skydive Utah, at the Tooele Valley Airport in Erda. This entry was posted in Episodes and tagged accident, China, drone, glider, Perlan Project, solar, United Airlines, X-24B, YF-12A on July 1, 2015 by maxflight.